Joe Denly is 32 years old and last opened the batting in a first-class match three-and-a-half years ago, in July 2015. At some point this week he will open the batting in a must-win Test match for England. England have made a habit of bold selection decisions in Ed Smith’s time as national selector, and they’ve had a reasonable return on those decisions. Jos Buttler’s Test recall is undoubtedly a success, Sam Curran had a horrible Test in Barbados but had won seven out of seven before that. Adil Rashid’s return to the Test side – also at an end, for now at least – was controversial for reasons both on and off the field but by no means a failure, and while Ollie Pope’s selection was surely premature he will just as surely come again. Even the three-man spin attack in Sri Lanka was a bold decision. After a 3-0 win in which Moeen Ali, Rashid and Jack Leach combined to take 48 wickets everyone pretended three spinners had always been an obvious tactic for England – England! – to employ even though it meant leaving out a man with over 400 Test wickets. So in many ways the decision to hand a chance to Denly is another bold decision in a patchy but overall reasonably successful 12 months. The thing about all those other selection punts, from success to failure and all points in between, is that there was logic at play. Agree or disagree, but why not try to harness the undoubted white-ball talents of a Buttler or Rashid? Buttler had been tearing up the IPL as an opener, playing the longest innings that format allowed. Rashid had been integral to England’s ODI series success against India and bamboozled Virat Kohli, a man he had dismissed twice before in Test cricket and would dismiss twice more as England won the first two Tests to take control of the series. Curran, a left-armer, offered the variety England’s seam attack so desperately lacked as well as serious lower-order ballast. But this selection punt is not like those. This is a pure things-can’t-get-worse leap of faith. Keaton Jennings’ flaws are well-documented. He has no game against high-quality fast bowling. He has no footwork or, more damningly, transference of weight into the ball. He is a sitting duck for any opening bowler worth their salt who can bowl on a length around off stump for any length of time. Jennings looks finished in Test cricket, the startling prowess against spin that brought him spectacular centuries in India and Sri Lanka ultimately achieving nothing more than buying him further opportunities to fail in the conditions where an opener must be most able to thrive. And that left England with a problem. Once the decision had been taken that Jennings’ problems were not going away, there was little point in continuing with him here against what is proving to be a high-class West Indies pace attack. There is, though, nobody else available to do the job. 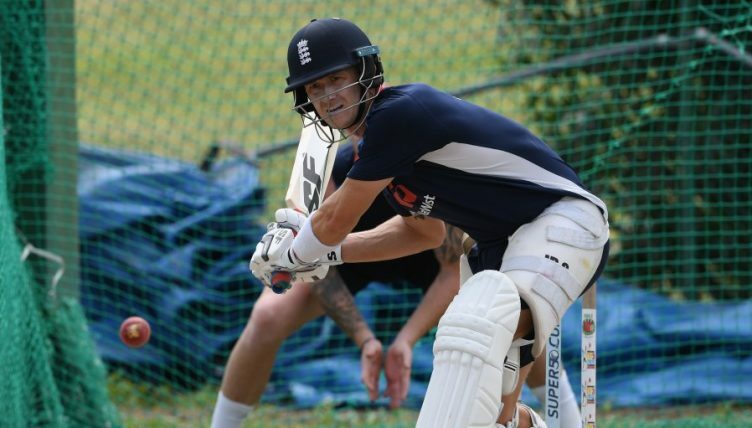 Five of England’s 12-man squad may have opened in Tests since Denly last opened in first-class cricket, but Rory Burns has no plausible partner among the other four members of that group. England could have made Jonny Bairstow do it, but seem to have decided they’ve taken the p*** enough on that front. Denly is the spare batsman in the squad, so in he comes. Number one with a bullet. He’s a very decent cricketer, and a first-class batting average of 36 is far from shaming. Australia would probably pick him over Glenn Maxwell. The way Denly has repurposed himself over recent years in white-ball cricket as a dashing batsman and more than handy legspin bowler is thoroughly impressive. He deserved the England recall that came when he played a T20 in Sri Lanka last year. He certainly has a bit about him, and let’s be honest the banter heuristic dictates that he will either score a century, take a match-winning five-fer or both. It genuinely could happen. And picking actual current openers hasn’t worked for England since 2012 so who knows maybe picking a former one is the right call after all. Might as well change up the pattern. But it was not meant to be this way. This chance was not meant to come Denly’s way. England’s 2019 masterplan did not feature Denly opening the batting in Test cricket. Less than a month into what is a once-in-a-generation year for the game in this country, England have already been forced wildly off track.